This weekend, I’ll be very busy Nutcracker-ing. (Is that a verb? It is now.) I’ll return next week with a regularly scheduled post, but for now enjoy this holiday post I originally published in 2015. Christmas is almost upon us, and if you’re anything like me, you’re getting very excited about it! But even as we hype ourselves up for the wonderful morning, we also expect the letdown when everything is over. You know the feeling: the presents are opened, there isn’t anything left to do, and you start feeling disappointed, sad, or frustrated that it’s all over. How can we avoid this holiday letdown and spend more time focusing on the true joy that Christmas is supposed to bring? Here are four things you can do to help prevent and offset those feelings of disappointment. 1. Don’t build up unrealistic expectations. We are all prone to building up and anticipating Christmas much more than we actually should be. We hype up the gift part of it so much and expect everything to be perfect and wonderful for the entire day. This is dangerous; don’t allow yourself to imagine Christmas being perfect. The world is still fallen on Christmas, the presents don’t last forever, and things will not be magically perfect on the twenty-fifth of December. Don’t imagine it that way. 2. Make God the center from the start of the day. If you wake up before your siblings or have to wait for your parents to get ready in the morning, spend that time before you open gifts reading the Christmas story in your Bible and praying that God would give you the right heart during the day’s festivities. This will help remind you of the purpose of the day before the gift-unwrapping starts. And even if you don’t have time to read your Bible beforehand, you can still say a quick prayer to yourself to help center your mind on God. 3. Focus on the right things while opening gifts. While you are opening gifts, take your time. Don’t rush through it. Focus on enjoying the delight of others when they receive the things you picked out for them. Focus on appreciating each gift that you open. Take it slowly and keep yourself in a generous and thankful mindset. 4. When the presents are gone, spend time in the Word. The letdown usually hits in the time between the end of gift-opening and the next order of business for the day. You are just sitting around staring at the piles of gifts that have all been opened, waiting for whatever happens next. Avoid this by immediately spending some time reading your Bible or a devotional and praying after all of the gifts have been opened. Thank God for the blessings He has given you and refocus yourself on the greatest Gift of all: Christ Himself. Will you try these strategies? Have you experienced letdown in the past? How else have you dealt with it? Christmas trees, Christmas music, Christmas cookies, Christmas presents…annnd just like that, December is over. In rolls January, bringing goals and fresh starts, snow (?) (please? ), and a return to the normal routine. And I really, really hope it snows soon! It never snows in December where I live but we usually get quite a bit of snow in January and February. Snow days are amazing. 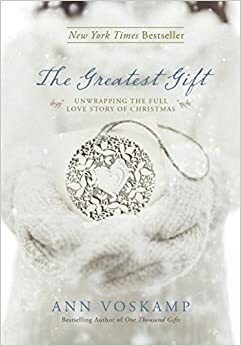 This month, I read through Ann Voskamp’s The Greatest Gift, an Advent devotional with Bible passages, readings to go with them, and questions for reflection. 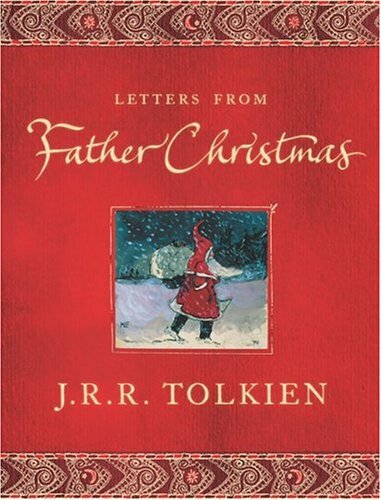 It was the second time I used this book during the Advent season and I absolutely loved it. Ann Voskamp’s writing is superbly beautiful and the perfect way to stay focused on Christ during Advent. If you missed it, my Advent Reflections series was based on some of my favorite quotes from the book. All of those posts will be linked in the next section. I’m currently studying The Reason for God by Timothy Keller. I started to have some questions about faith and the proof for God that I wanted to seek out answers to. I had read this book before, but not thoroughly, and didn’t remember any of it. This time I’m taking notes! A beautiful post about the wonder of God. Also from The Rebelution, an interview with Tony Reinke about teens and technology. Totally worth listening to the whole thing! Grace had a really great post about why she’s not ashamed she homeschools. I may not be homeschooled anymore, but I am still one of its biggest advocates, and this post hit the nail on the head. Katie Gregoire is not a beauty guru. Also subscribe to her channel. She’s great. A Studio C sketch in which the holidays are personified. One of my favorites of theirs recently! If you haven’t seen Moana, you should. If you need more convincing: listen to this song. And finally, if you still need more Christmas music in your life, here’s a gorgeous acapella Silent Night. 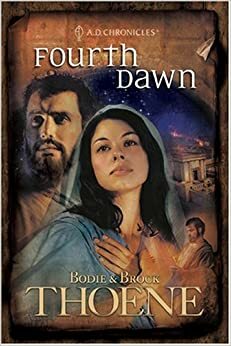 Fourth Dawn: 3.5 stars. A very interesting look at Mary and Joseph and the history surrounding Christ’s birth. Read my Goodreads review for more. The Greatest Gift: 5 stars of course. I think I’ve talked about this book enough on here already. Library of Souls: 4 stars. My least favorite of the series, but still good. And the ending! It was actually happy. I was not sure how it would end happily, but it did! Yes, it was Christmas break. How can you tell? 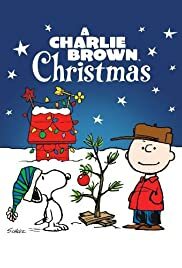 A Charlie Brown Christmas: 4 stars. It was high time I actually watched this, and it was cute! A nice way to start my break. 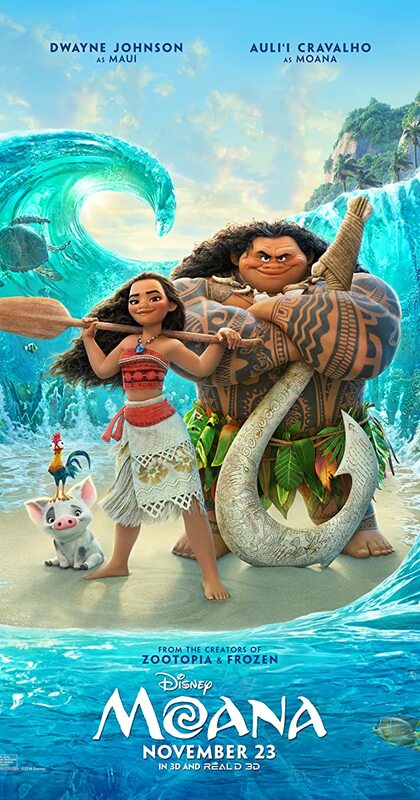 Moana: 4 stars. Such a good movie! I would recommend seeing it in the theater if it’s still in theaters to get the quality sound and everything. The music is 5 stars (obviously, since it’s by Lin Manuel Miranda). And he even sings in one of the songs! Elf: 5 stars. I’ve watched bits and pieces of this over the years but never actually seen the whole thing until this month. I loved it! So cute, and definitely something I will watch for Christmases to come. AGT Holiday Spectacular: This is definitely a guilty-pleasure show, but this holiday version was fun! It was fun to see contestants come back and perform without the judging part. The Nutcracker: Well, of course I had to watch this. I featured it in my childhood favorites post, and I can’t let a Christmas go by without seeing it! Alice in Wonderland: 4 stars. I got this for Christmas and watched it immediately. It’s a relatively new, very creative ballet, that even people who are new to ballet would like because of all the different aspects (puppetry, tap dancing, etc.). I did a whole post on Christmas music so that basically covers it. I hope you had a wonderful December! What did you enjoy reading and watching this month? Are you excited for January? Tell me in the comments! Tonight, candles flicker in the dim light. Christmas trees are lit. Carols fill the air, voices raised by the thousands in songs of joy. Tonight we wait for the birthday of Christ. Christmas: a miracle of love. A celebration of a God who loved us so much that He came down to us in the humblest of circumstances so that we would not have to remain separate from Him. Christmas is a celebration of love. That is what it’s all about: the decorations, the music, the food, the gifts; everything is a celebration of God’s incredible, abundant love. And what incredible love it was! The note in my study Bible said that there is a possibility Jesus was born in the open air. The God of the universe, born to a poor couple in a small village in an alley somewhere. He lowered Himself this much because of His love for us. Here, tonight, the story of salvation begins: a baby born who would grow up to be the Messiah, to die on a cross so that sinners across the ages could be saved. The story begins that will continue through the months and culminate in Easter, in His joyous conquering of death. So let tonight and tomorrow be a joyous celebration of wondrous love! Christ is born! Hallelujah! Merry Christmas to all of my lovely readers! I hope you have a wonderful day full of love, joy, and peace. It’s Christmas Eve Eve, as my sisters like to say! Today I’m taking a break from the Advent posts (there will be one more post in the series tomorrow) to bring you a fun Christmas tag from my fellow Grace. Because it’s a Friday, the Friday before Christmas, and sometimes something lighthearted can be healing to our souls. 1. What’s your favorite Christmas film? Well, The Nutcracker, of course, as I mentioned last week. I also just (finally!) watched Elf all the way through for the first time. 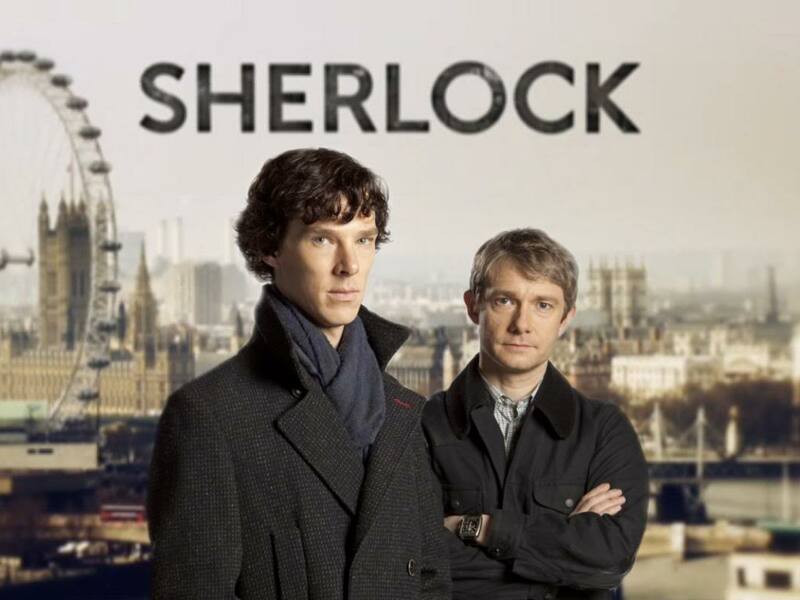 I’d seen the beginning countless times but never all the way to the end. It was great! Probably a new favorite. It is a classic, after all. Hm…I also really like Disney’s Prep and Landing, about the team of elves that prepare houses for Santa on Christmas Eve. I feel like it’s not nearly as well-known as a lot of Christmas films, but it deserves to be! And the second one is good too. I don’t remember. Probably at some point in my life, but not very often. It snows a lot where I live through January and February, but usually not early enough for white Christmases. 3. What’s your favorite Christmas song? IT’S SO GOOD! So much fun. It makes me want to dance every time I listen to it. 4. Can you name all of Santa’s reindeer? Dasher, Dancer, Prancer, Vixen, Comet, Cupid, Donner, Blitzen, Rudolph. Did I get it? I think I got it. 5. Do you have a real or fake tree? We used to have a fake tree, but we got rid of it and now we get a real one. 6. Where is your dream place to spend the holidays? I would LOVE to be in New York City during Christmas. Everything happens there- the Macy’s parade, all the Christmas shows (like New York City Ballet’s The Nutcracker! ), the decorations and shopping, and then of course New Year’s Eve. It would be amazing! 7. How good are you at wrapping? I think I’m pretty good at it. I took like half an hour to wrap four presents yesterday, so I’m not particularly fast, but I like to take my time and make the ribbon all coordinated and make the gifts look really pretty. 8. Do you open presents on Christmas Eve? Nope! We open stockings and presents on Christmas morning. On Christmas Eve we go to a church service, drive around and look at Christmas lights, and eat cookies. 9. Do you do anything for Boxing Day? No, we’re usually at my grandparents’ house for a few days after Christmas, just hanging out. So if that counts as doing something? 10. 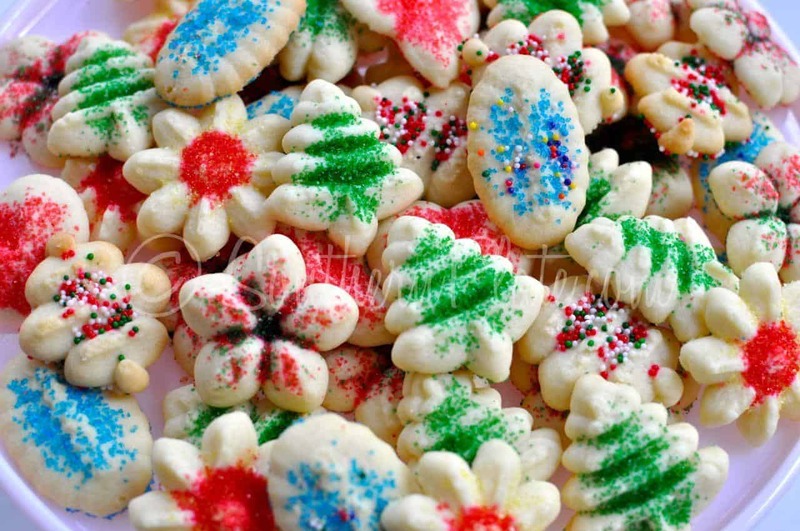 What is your favorite Christmas food/treat? They have a certain flavor that just melts in your mouth and I love them so much. So now I tag some people. If you’re reading this and you want to do this tag, consider yourself tagged! I hope you enjoyed this little fun interlude of Christmas spirit! I’ll see you tomorrow with the final Advent post! How good are you at wrapping presents? Where would be your dream place to spend the holidays? And what is your favorite Christmas treat? Tell me in the comments! If there is one holiday that has tons of nostalgia surrounding it, it’s Christmas. Everyone has childhood traditions that have been part of their holiday season as long as they can remember, that provide continuity from year to year in the midst of growing up and going through changes in life. Christmas is a time to return to childhood, no matter how old we are. This week, I want to continue the ‘Christmas favorites’ theme, taking a foray into the past and sharing three little pieces of Christmas that have been staples of my holiday season as long as I can remember. These are things that were huge parts of my childhood, that I still enjoy around Christmastime, and that I consider timeless, classic, and enjoyable for all ages. My family has listened to this album over and over on repeat every Christmas as long as I have been alive…first on tape, then CD :). It is such a classic! Not to mention it has so much nostalgia mixed in for me that it is always one of the first Christmas albums that I want to listen to at the beginning of the season. When I hear it the first time, I know Christmas has really arrived. If you haven’t ever heard this album, you must listen to it! Classic Christmas at its finest. I got this book one year as a child and loved it immediately, and have read it every year since and read it aloud to both of my younger sisters. I don’t know what it is about it that makes me love it so much, but I do, and it’s as much a tradition for me as anything else that my family does. If you’re a teen or adult, you can probably read it in one sitting, which is all the more reason you should pick it up; it would also make a great gift for any younger siblings or cousins, etc. who are bookworms (or dancers!). 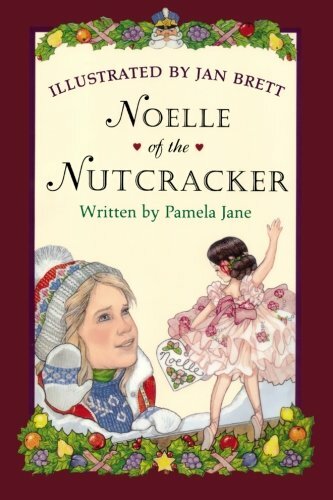 Probably my favorite holiday book of all time! Okay…if I’m being honest, when I was a child I watched this year-round, not just at Christmas. But I’m including it here because it was such a part of my childhood and is technically Christmas-related. It was probably the first ballet I ever saw, and could probably be credited with making me want to dance, which makes it even more special. Plus, Baryshnikov and Kirkland are such an incredible pair! 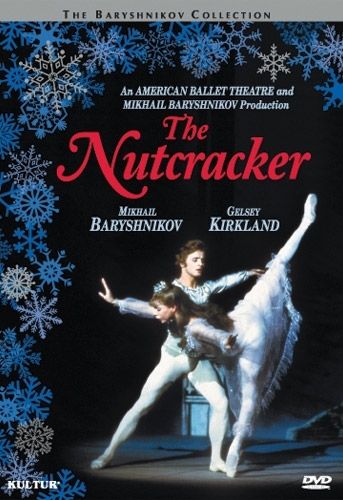 There are other versions of the Nutcracker that I like just as well now, but none of them have the nostalgia of this one. These three things all hold very special meaning for me, and they would also all be wonderful even without the nostalgia! I highly recommend them to all ages; they would be good for kids, teens, or adults to enjoy, or for families to enjoy together. What are some of your most nostalgic Christmas favorites? Share in the comments! Christmas music is what really makes it feel like the Christmas season for me. When I turn on that first Christmas song, it makes me so happy. At that point, the holidays have truly arrived. I’ve been listening to Christmas music obsessively, and today I want to share some of my favorite albums with you. Hopefully this will introduce you to some artists you haven’t heard before and provide you with some new things to listen to! 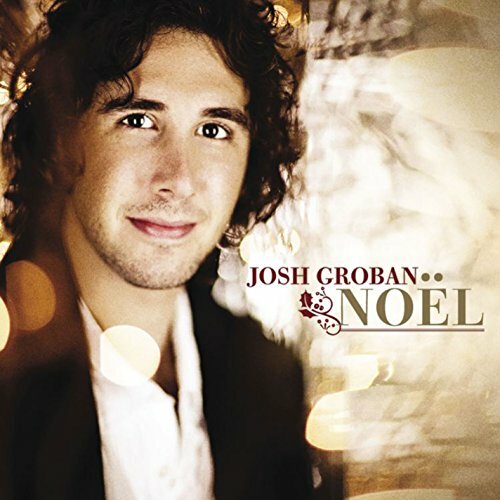 If you haven’t already listened to Josh Groban’s Christmas album, go do it! It’s classic and gorgeous and usually one of the first albums I listen to at the start of the season. Here’s another album with a classic sound and gorgeous vocals that is a good way to start off the season! 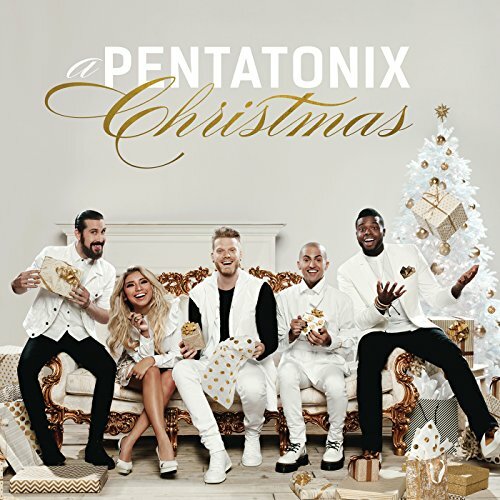 Pentatonix is so talented and can sing so many different styles; all you have to do is listen “Hark the Herald Angels Sing” to hear both their classical and contemporary sound. The songs are so fun, catchy, and well-arranged! I just discovered this group, and their music is so beautiful! Some has vocals (and wow, is the vocalist great), and some is just instrumental (and wow, are the arrangements gorgeous). Calming, reflective, and beautiful. 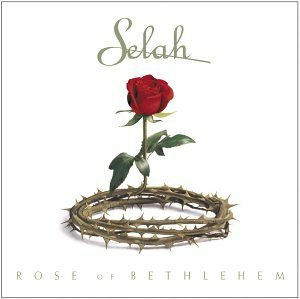 I mentioned Selah in my November Month in Review for their hymns album. Their Christmas album is probably one of my top favorite albums in this entire list. It is perfectly balanced with classic carols and amazing original songs, reflective pieces and toe-tapping ones, and every song is gorgeous. So highly recommended! So there you are! A huge list with six favorite albums of mine and my most favorite Christmas songs of the moment. I hope this gives you some new things to listen to during the Christmas season!